Obamacare is a complete and total disaster. It’s a law that causes people to lose the health coverage they have and like. It’s a law that mandates coverage people don’t need or want. It’s a law that raises taxes. It’s a law that raises premiums. It’s a law that cuts seniors’ Medicare. It’s a law that provides federal funding for abortion. It’s a law that destroys jobs and lowers wages. That’s why I fought against Obamacare when it was being rammed through Congress and warned of its negative effects. 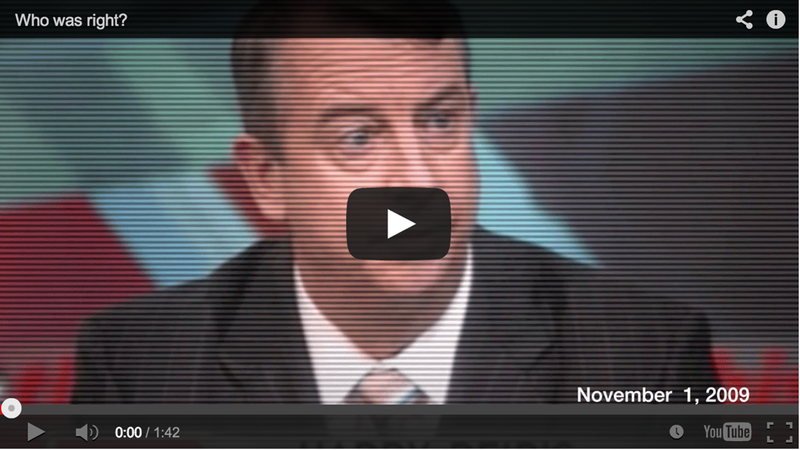 What was incumbent Senator Mark Warner doing and saying? He was making false promises to Virginians and rallying support for Obamacare. Remember: a single vote margin allowed Obamacare to pass the Senate. It would not be law today if he had not voted for it. “Who was right?” The answer is obvious. Obamacare has to be replaced. And those who imposed it on us must be held accountable. Help us spread the word by sharing this video on Facebook and Twitter.